Your properties are a great asset for your potential buyers to view as potential deals. They are also great marketing pieces if you are looking for partners. Agents can use them to actively show you are actively working to buy and sell houses in your area. Your Carrot property listings can also be used as showcase pieces throughout the site using our property shortcode. (Check out our learn more section to add these to your site.) 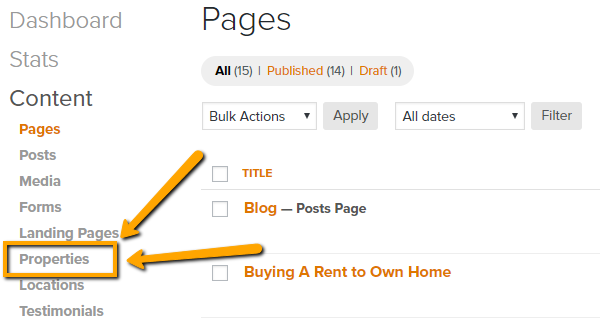 Once you have completed this tutorial, you will know how to add a property to your site and can view it on your /property page, found by adding /property to the end of your domain. Please note that there will not be a field for every detail and some fields may not apply to you. All fields that do not apply should be left blank and they will not appear on your site. If you want to add details that are not on the default list, please use the Property Description area to disclose more information about each property. A)Property Status is a search filter for your site’s property page. 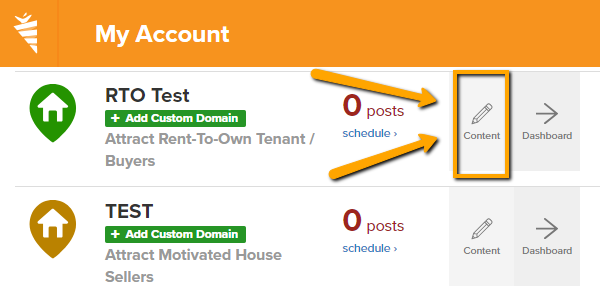 This is where you can update the status of the properties listed. B)Location is a special feature where you can group properties based off a market area. 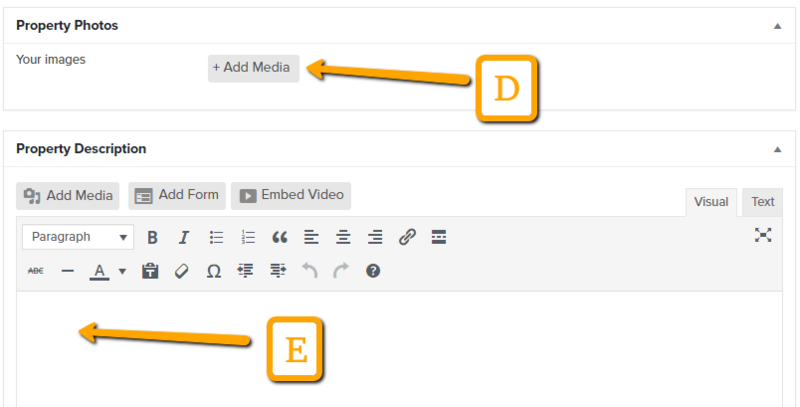 Check out the Learn More section to use this feature. C) Featured Image is the thumbnail image that will appear on your site’s property page amongst all listings. This needs to be set otherwise a default gray image will be used, regardless is photos have been added. D) Property Photos is where you add all the photos for your visitors to peruse. E) Property Description is where you include all details for your property that was not listed above.